The Southeast Alaska Food Bank celebrated an increased capacity during an open house Saturday. 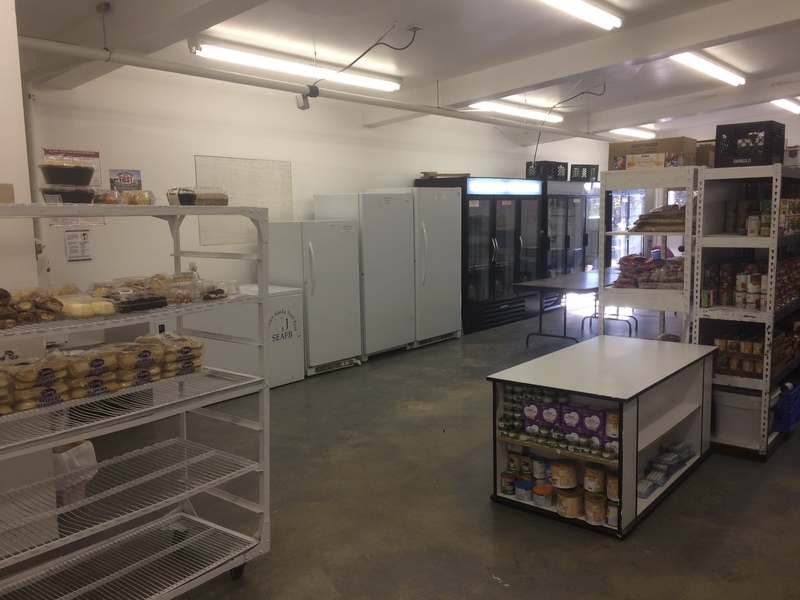 The new addition allows the food bank to give away even more food than before. Last year, Jim Wilcox was the board president, but he gave that up to head the food bank’s warehouse expansion. “I couldn’t do both, so I turned the presidency over to one of my buddies,” said Wilcox, who sits on the Southeast Alaska Food Bank’s board of directors. 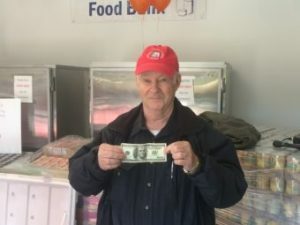 In the last four years, the number of people asking for food increased by 30 percent to 40 percent, he said, wearing a red cap with the food bank’s logo over his white hair. That’s why adding space onto the warehouse was paramount. “We can probably store probably six months of food in here right now,” Wilcox said. Wilcox planned for the entire project — a 2,200-square-foot expansion — to take a full three months. Some said it would take double that. He said they did it in just 52 days. “And four of them days were half days,” Wilcox said. He gave part of the credit for the quick turnaround to a former Juneau contractor who he hired out of Hoonah. Wilcox gave another round of praise to the businesses who helped build the space and the others that contributed. He estimated a third of them gave their services for free. “Engineers, surveyors – they were all free. The people who drew the building and drew all the blueprints – they were free. The electricians, 99 percent of the work they did for free,” Wilcox said. The rest the food bank covered – mostly through donations. Wilcox said it cost them less than $70 per square foot when it should have cost about $250. 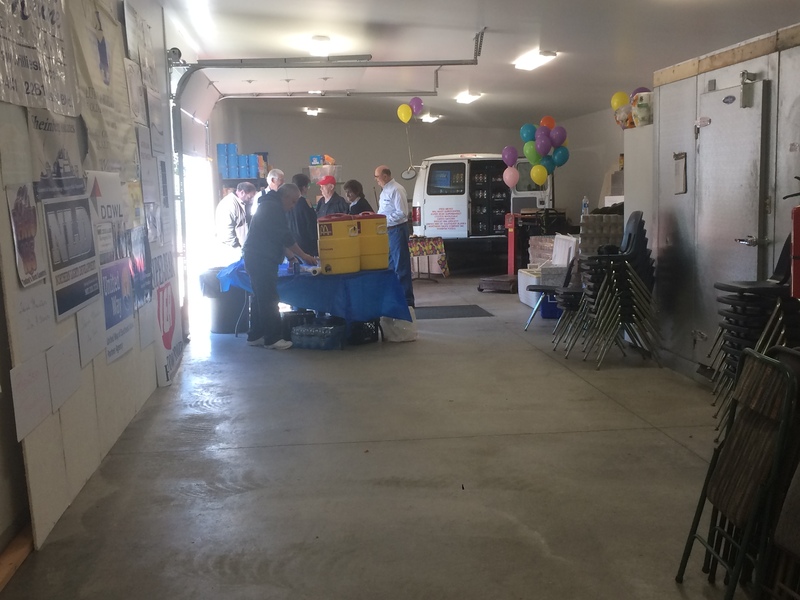 The food bank’s manager Darren Adams said that right before the new and improved warehouse’s open house and ribbon cutting, about 45 people came to collect close to 1,600 pounds of food. The new space is going to go a long way toward the food bank’s day to day operations, he said. There’s an obvious divide between the old space and the add-on. Adams pointed out a sharp contrast between the two. “In years past whenever I’d get a huge food drive, or get a huge food donation, I’d have to make it all fit in here,” he said. Adams recalled palettes scattered everywhere and food stacked to the ceiling. “I had to call in a lot of favors and ask people who don’t normally store food for us to store food for us,” he said. “This will help us bring in more food, keep enough back to where we’ve got food for today and for tomorrow, and it will also help us buy food in bulk,” Adams said. One thing the extra space can’t do is give Adams more manpower. 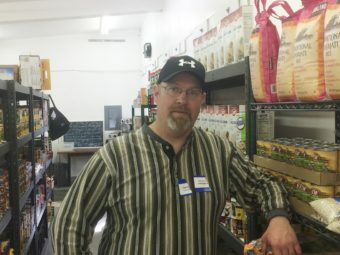 He’s the only full-time employee and said the food bank is always looking for volunteers. 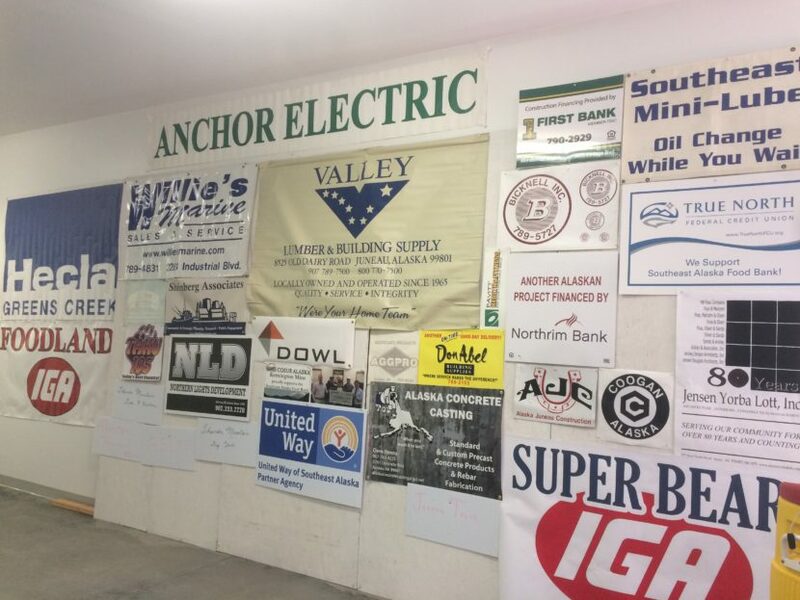 Wilcox left the warehouse in a good mood, but not before insisting on getting a photo of a wall covered in the names of all the organizations that helped make the expansion possible.